If you’ve ever dreamed of life at the beach, this may be your reality. Wake up to cool ocean breezes, boats sailing past your bedroom window, and every evening a new show as the sun sets into the ocean. Every day can feel like a vacation with this wonderfully updated 2 bedroom corner unit condo with panoramic ocean views. 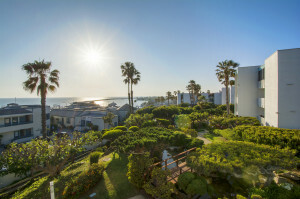 This beautifully updated 2 bedroom condo has it all….panoramic ocean views, resort like complex, cool ocean breezes, living room, bedrooms and kitchen bathed in natural light, 2 pools and 2 spas, state of the art fitness center and upgrades throughout. Live the vacation lifestyle as it’s just better at the beach….all located within walking distance of King Harbor, the Redondo pier, and world famous Redondo Beach. Contact listing agent and Redondo Beach specialist, Keith Kyle for more information or for a private tour.